Geometric owl coloring pages are fun to color. This owl looks like he is on the hunt. This PDF prints to 8.5x11 inch paper. 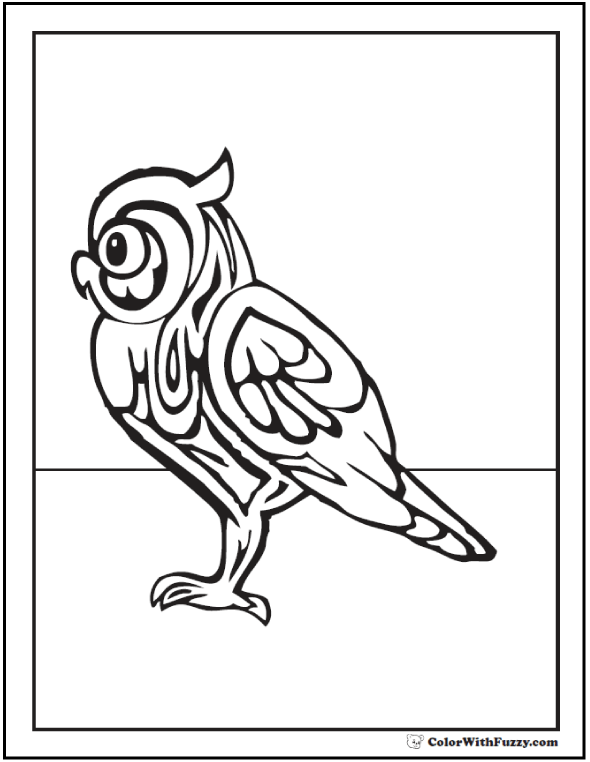 This owl coloring page shows a great hunter!